Luxury apartment newly renovated and decorated with old style encaustic cement floor and coffered ceilings. The apartment is equipped with everything needed to make your holiday a great experience and have a nice memory of this great city full of leisure, cultural and gastronomic offer. Located in the heart of Barcelona, ​​the apartment is very spacious and has room to comfortably accommodate a group of 9 people. 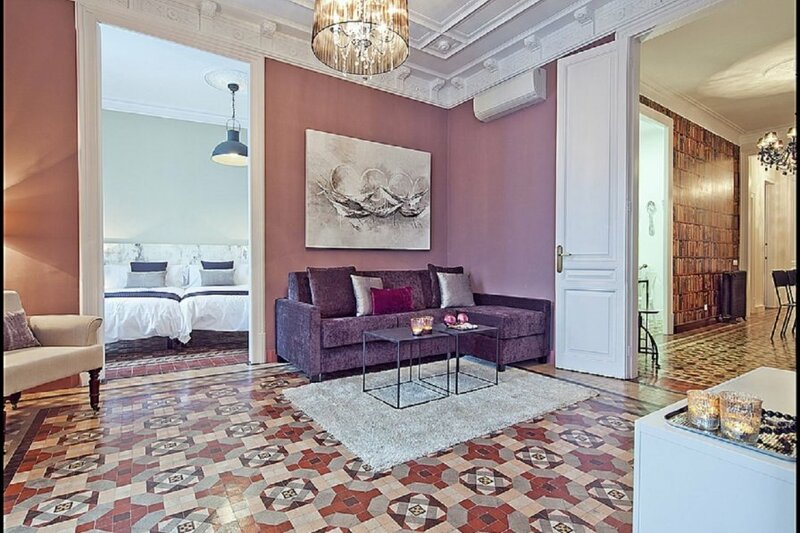 This beautiful apartment is located in the heart of Barcelona, ​​in Balmes street, a few meters from Plaça Catalunya, Las Ramblas and Passeig de Gràcia. For people who want to be in the very center of Barcelona. Excellent communications for mobility through Barcelona or to leave the city. Parking at few meters.